The GX7 is one of the best CSCs Panasonic has ever produced. We take an in-depth look at it, in our expert guide. The pop-up flash expands the versatility of this camera. The EVF can be tilted, permitting viewing from a 90 degree angle. When Compact System Cameras (CSCs) first hit the market, they were targeted at those wanting to make the step up from compact cameras without wanting the bulk of a DSLR. As a result, they were often considered lower in the pecking order than even entry-level DSLRs, and were overlooked by the more ‘serious’ photographers. 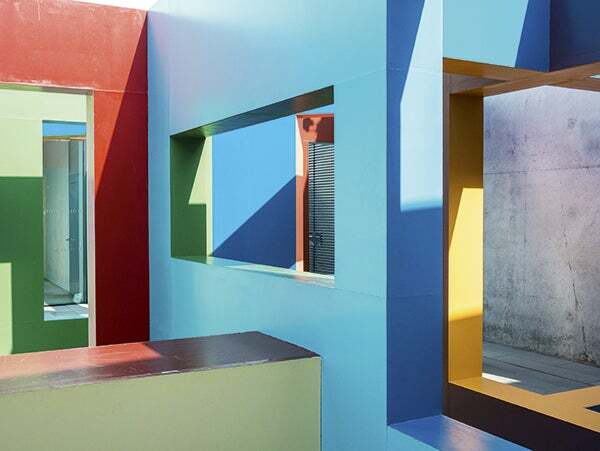 As the sector developed, however, manufacturers started to realise that, in fact, more advanced photographers viewed smaller CSCs as an alternative lighter option to their larger DSLR kit. Panasonic was one of the first manufacturers to cater to this market with the launch of the Lumix DMC-GF1, which was targeted at enthusiasts and professionals. This was followed by a host of similar models from competitors, heralding the growth of the sector, while on launch the GX7 was considered a further development of this idea and was labelled by Panasonic as its best CSC to date. The GX7 features a newly designed sensor in comparison to its predecessor – the GX1. The chip is a 16MP Live MOS sensor which, when paired with the Venus Engine image processor, is capable of some excellent image quality and strong performance in low light. 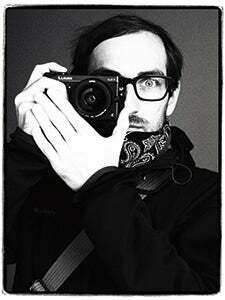 Several other features allude to its appeal towards the more advanced photographer. One such feature is the model’s tilting viewfinder – while some competing models fail to offer a viewfinder, or only offer one as an external afterthought, the GX7 ships with a 2.7m-dot EVF that can be tilted about 90° to face directly upwards. This is accompanied by a 3in, 1.04m-dot tiltable LCD with touch-sensitive technology. Other impressive features include Panasonic’s renowned light-speed AF set-up, while Full HD video capture is also offered in either AVCHD or MP4 formats, alongside both Wi-fi and NFC connectivity. 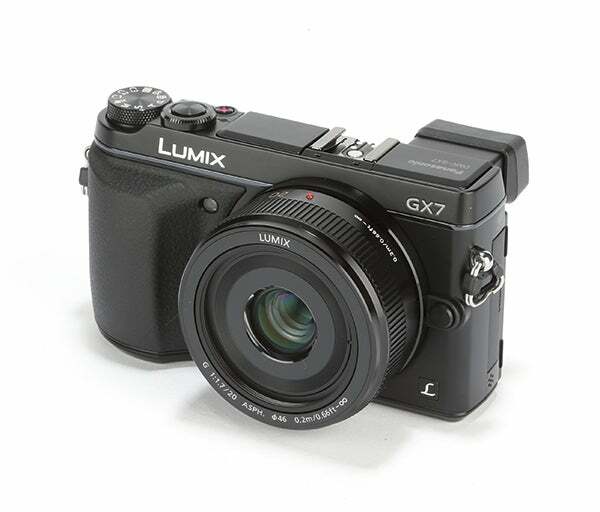 For a camera of this type, the Panasonic Lumix GX7’s specification is very comprehensive. The plethora of programmable body-mounted controls is also welcome, and all adds to the excellent shooting experience offered by the GX7. It really is a very nice camera to shoot with, and special mention should go to the built-in EVF that delivers a more intuitive and natural way of working. The GX7 is a very polished and well-made camera that not only delivers excellent results, but is a pleasure to use at the same time. Panasonic has made a bold statement saying that the GX7 is their best Lumix camera to date, and we have to say we fully agree. Panasonic recently announced the all-new Panasonic Lumix GX8. There’s no denying that it offers a wide range of improvements on its predecessor, including an entirely new sensor and 4K video shooting mode. That being said, the new model features a price premium of over £1,000, and as such the GX7 still represents great value. 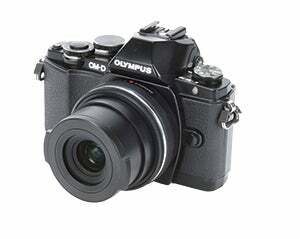 The Olympus OM-D E-M10 features some eye-catching retro design along with a high-quality all-metal chassis and a specification suitable for advanced photographers. Alternatively, the Fujifilm X-Pro1 might be a few years old now, but thanks to its timeless design and larger APS-C sensor, it remains a solid option in this field. In 2011, I discovered the art of street photography, and I still find it intriguing to capture a specific moment in time, in which ordinary people are going about their everyday business. I started off with an Olympus PEN camera, changing to the GX7 because of its fast autofocus and short shutter lag. One particular highlight of the GX7 is its tiltable electronic viewfinder, which enables taking pictures from various positions. I usually photograph in Raw format, as this enables me to take full advantage of the photograph’s potential. 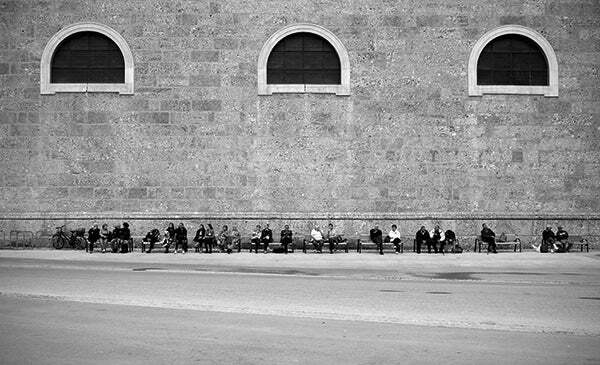 I prefer to use the Panasonic 20mm lens for street photography. Depending on the situation, I use S or A mode. However, when I need to work quickly, I may use P mode. What I also like about the GX7 is the higher ISO settings, which makes it capable of taking high-quality images up to ISO 1600. The camera’s menus enable rapid changes between settings. And the electronic shutter allows a soundless and vibration-free shutter release. The GX7 sits well in the hand, has a sturdy design, is very compact and, being black, is inconspicuous, which is essential for street photography. I would love it to have a water-resistant case and a better battery life. Still, if you carry enough spare batteries with you, the latter isn’t a problem. 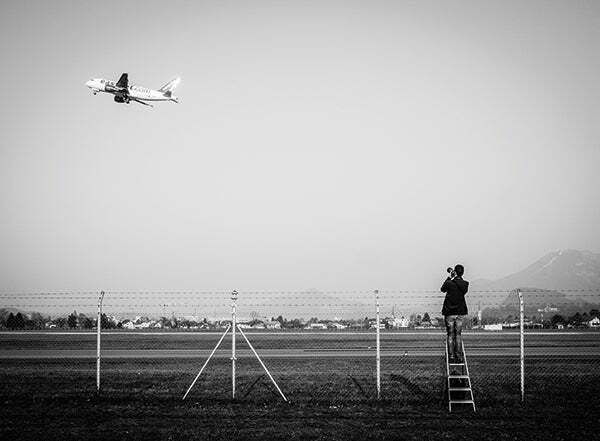 This picture was taken near Salzburg Airport, where there are a lot of plane-spotting photographers. A different point of view of Salzburg Cathedral. 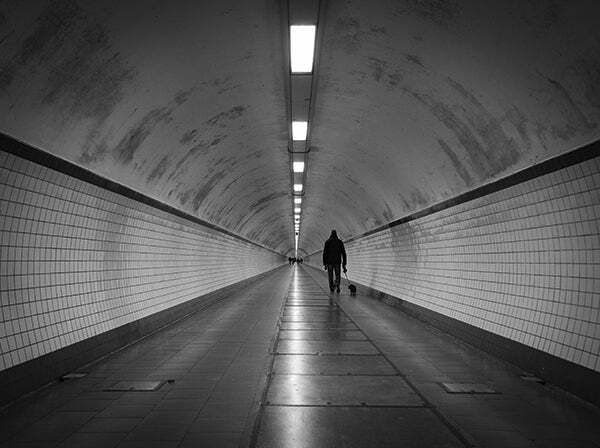 This is the 572m-long Sint-Annatunnel in the centre of Antwerp. 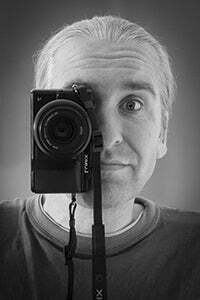 My interest in photography really took off when I bought an Olympus C770 compact in 2004 while travelling in Asia. In such varied and exotic locations, it was easy to be inspired. After progressing through several Olympus DSLRs, I made the transition to the Panasonic GX7, which had several crucial features for me: built-in EVF, focus peaking, silent electronic shutter, 1/8000sec shutter speed and Wi-fi connectivity. I find Micro Four Thirds to provide the perfect balance between image quality and portability. I love the fact that I can throw a body and a few lenses in a bag and not even know they’re there, but still have the quality available when photographic opportunities arise. I also think that Micro Four Thirds currently has the best range of native lenses. When I’m not taking pictures of my family, I mainly pursue landscape images. Living in Cornwall, we have so many great locations to choose from. Most of my time is spent in Aperture Priority mode, and I always shoot Raw and process using Lightroom 6, as I find processing images to be just as rewarding as taking them in the first place. For my style of shooting, I feel there are a few areas where the GX7 falls short. It offers excellent image quality in a small package, with plenty of options and customisation options, but a larger viewfinder would be nice. I’d also love it to have weather-sealing, as recently I’ve had a few close calls with rogue waves! 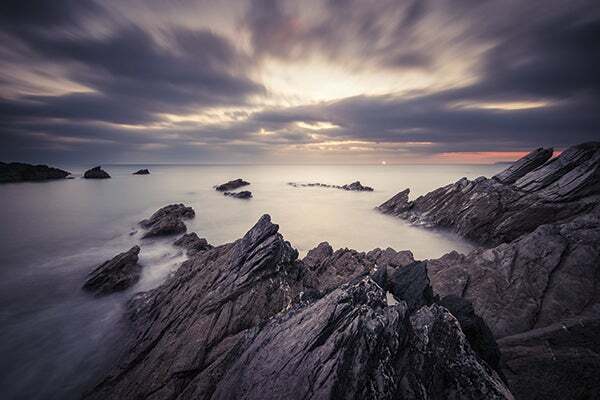 This was one of my first attempts with a 10-stop ND filter, taken at my local beach in Cornwall. 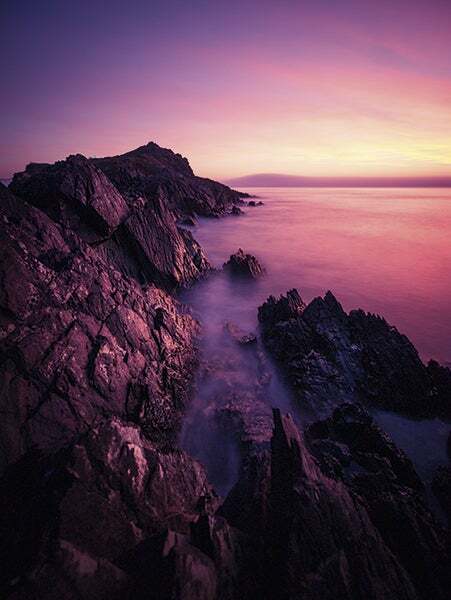 The 10-stop ND filter has a slight purple cast, which perfectly complemented the sunset. After finally giving up my sporting hobbies in 2009, I decided to find something else to occupy my spare time, so I bought my first digital camera. The camera was a Panasonic Lumix DMC-FZ18. 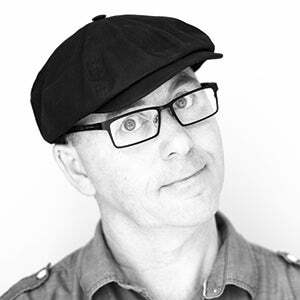 I then invested in a Canon EOS 7D, but after making a couple of trips to London to take some street shots, I decided that I needed a camera that was less conspicuous. After a lot of research, I chose the Panasonic GX7 with 20mm f/1.7 lens (I now have a Panasonic 12-35mm lens, too). I was amazed by the quality of the images, given the size of the camera. I usually set it to Aperture Priority mode, and I absolutely love the Dynamic Monochrome filter on this camera. I sometimes go out using only this setting, just to see what I can get. I set the camera to JPEG + Raw, as I now use Lightroom for my processing and editing. I also switch between auto and manual focus to suit. 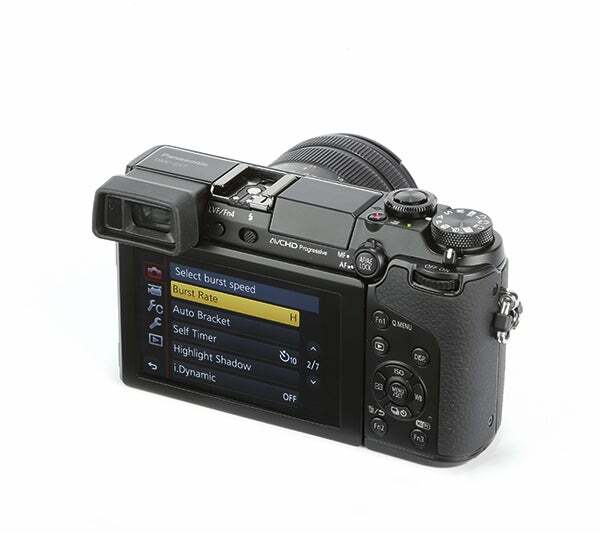 The best feature for me is the viewfinder, which has an eye-sensor that switches from the viewfinder to the monitor. I do not like cameras that only have a monitor screen, as I find it quite difficult to compose with them in bright sunlight. For me, as an amateur photographer, I have not yet found any weaknesses in the GX7. Perhaps the only thing is that the buttons on the back are quite close together and I keep turning on the Wi-fi by mistake. I liked the way the natural lighting enhanced the shapes and colours. 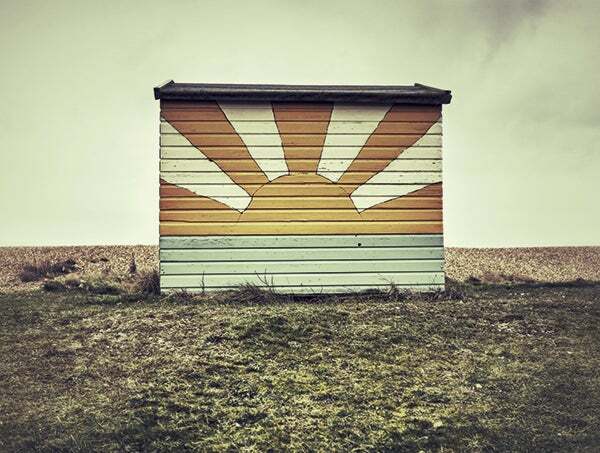 A beach hut at Littlestone, Kent. On a clear day, the sun rises behind it. 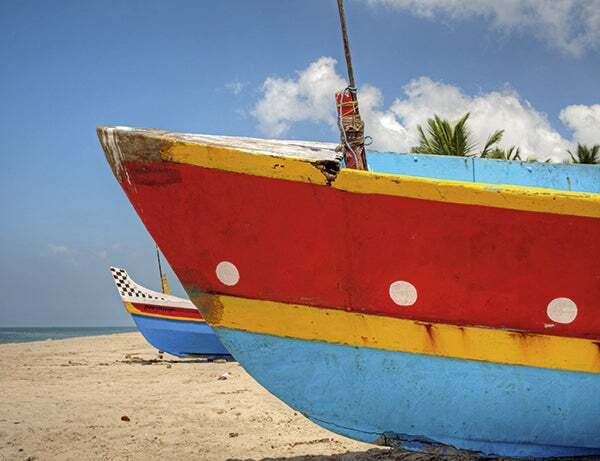 The beach was full of these amazingly colourful fishing boats. PermaJet provides award winning digital photographic paper and accessories to help you print to perfection at home, every time. The comprehensive range of inkjet papers include the high quality daily essentials of Gloss, Oyster and Matt and heavyweight Fine Art collections of textured and smooth surfaces. Receive leading levels of support and FREE ICC profiles for all PermaJet media, making your memories last a lifetime.